It's been a really good innings for Small Robot Company news in recent weeks! Firstly, do take a look at this video from the IET which explains how Small Robot Company is revolutionising food production - you can also see our prototype robot Rachael in action. The video showcases our winning of the prestigious Horizontal Innovation Award from the IET and the High Value Manufacturing Catapult (HVMC), which is enabling us to develop ‘Harry’, our drilling and planting robot. Harry will accurately place seeds individually in the ground at a uniform depth to within 2cm accuracy, creating a plant level map showing the location of each seed. By punch-planting rather than ploughing, Harry will also radically reduce soil run off and associated water pollution. Thanks to this funding, an early prototype of Harry will be delivered this autumn, which we will exhibit at Croptec. Do come and visit Harry there! Next up, we have also successfully achieved our Indiegogo funding goal. 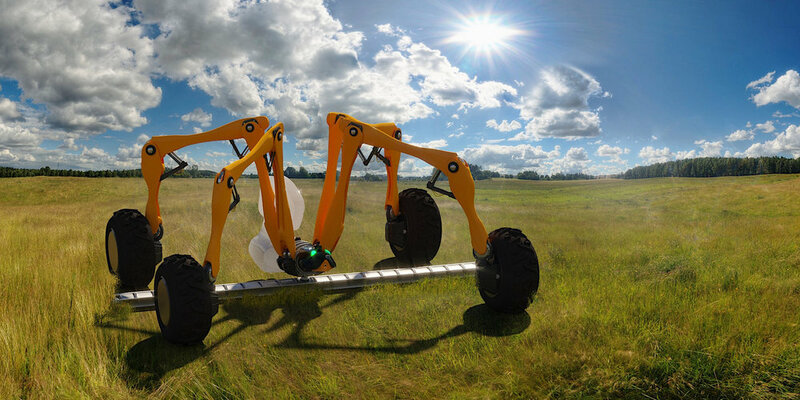 With this funding we can commercialise our Harry robot, getting him into the field for commercial trials, and bringing us closer to our goal of creating a sustainable farming system. Finally, we won AbilityNet's Tech4Good awards, in the extremely prestigious BT Connected Society category. This was awarded to us on account of the social impact and environmental benefits of our robotics service. The fantastic additional benefit in the Tech4Good award is that this includes a partnership with BT's InfinityLabs to help us accelerate our development. Watch this space! Sharing these updates allows both the team and myself here at Small Robot Company, a very welcome opportunity to thank those of you that have supported us over the last few months and been so steadfastly behind the evolution of our 3 Small Robots! Newer PostHow will Farmers Compete In The Future? Older PostFrom How? ...... to Who?